Known as “The Garden City”, Beverly is a beautiful city in the north shore of Massachusetts with miles of coastlines, beaches and public parks. It was first settled in 1626 and it was incorporated in 1668. Beverly local owners take pride in their businesses for being recognized in their creativity and entrepreneurial spirit. Downtown Beverly has been named one of the top 50 small businesses shopping destinations in the US. It is also called the “birthplace of the American Industrial Revolution”. 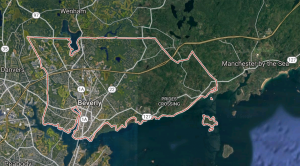 With over 16,000 households in the town of Beverly, there are plenty of residences and small businesses that need to get rid of junk or move out furniture and old appliances. Located right down the street in Peabody, MA, One Call Junk Haul knows towns in the North Shore like the back of our hands. We understand the unique challenges that arise while hauling junk or performing a clean out for Beverly residents, so why would you hire a corporation or large junk business if they are not familiar with the local community? One Call Junk Haul provides the complete junk removal solution, from the truck to clean up, for getting your junk removed from anywhere on your property. We specialize in residential and commercial junk removal as well as clean outs. We can take a single item or clean out an entire office; no job is too big or too small. We also strive for a green junk removal process, ensuring we take the proper steps to fulfill our “Green Vision” and do our best for a healthier planet.